One of the most frustrating and costly plumbing problems a home or business owner could face, is a sewerage leak or back-up. Along with blocked sewerage drains or faulty municipal sewerage systems, these can cause significant damage to your home or business’s plumbing infrastructure and result in a massive and costly inconvenience to you. The most common issues encountered by plumbers in relation to sewerage systems is blocked sewer drains and back-ups. A back-up occurs when there is a blockage further inside the system, which causes sewerage to leak back out of your toilet. Pipes can even break, resulting in significant damage and flooding. There are steps you can take to minimise the risk of a blocked septic system, we will walk you through some of these in this article. It’s easy for us to go about our lives without realising just how complex and sensitive our plumbing systems are. Septic systems are particularly complex and it is vital to keep them in prime condition, as they have the most important function out of the entire domestic plumbing system – carrying human waste and dirty water away from your premises. Your plumbing system, as well as the municipal system which handles your waste, is only designed to process waste, water, and moderate amounts of toilet paper. Toilet paper is designed to break down easily in sewerage, which then forms a slurry that can be processed at a treatment plant. Many of us forget about these sensitivities, and absent-mindedly flush foreign objects down our toilets and sinks. Sanitary items such as wipes, cotton tips, and paper towels are major culprits. The cotton or plastic that many of these products are made from doesn’t break down into the sewerage slurry septic systems are designed to handle, so they can become caught on the edges of pipes and create significant blockages. If you own a business or busy household, it’s a good idea to leave a sign or note which lets people know not to flush anything down the toilet besides toilet paper. If you’ve travelled abroad, you may have noticed that some places don’t even allow toilet paper to be flushed. This is because their plumbing systems are less advanced and efficient, but it goes to show that it really does matter what you flush. A good way to prevent the flushing of foreign objects is to place a bin in the same room as the toilet. This way, bathroom users will be less tempted to flush the occasional sanitary item. The occasional soft blockage is fairly normal for most domestic septic systems. But there are some things you can do to prevent these blockages from turning in to more serious problems. The worst thing you can do in the case of a blockage, is to keep flushing the toilet in an attempt to clear the clog. Instead, get your hands on a plunger. Before you start plunging, switch off the water supply to the toilet tank so that no excess water is going to flow into the bowl. Plunge vigorously, and don’t be afraid to keep plunging for several minutes. The longer you plunge, the more pressure will be exerted on whatever is blocking your pipes. This should work fine to break up most toilet blockages caused by waste and toilet paper. It’s a good idea to keep the plunger near the toilet, so people will be less tempted to just keep flushing the toilet if it gets blocked. Though it may seem like an easy fix in the case of a more serious blockage, chemical drain cleaners are largely ineffective in clearing deep blockages, especially those found in septic systems which are often caused by cotton or plastic-based products. Liquid drain cleaners are made up of very corrosive chemicals, which can do significant damage to your pipes as well as the environment. In the event of a hard blockage, the drain cleaner will sit in a particular stretch of the pipe, potentially corroding it and causing major damage. An additional concern relating to the use of liquid drain cleaners becomes apparent in the case of a septic back-up. Often, people who use drain cleaners will attempt to flush them into the system to get at the blockage. This is particularly true with toilets because you need to get the cleaning agent around the bend. Flushing water into a blocked system can cause it to back-up, which results in waste material coming back out of the toilet. Anyone who has experienced a septic backup can testify to how horrible it is. Having your bathroom flooded with sewerage is a health hazard as well being disgusting and annoying. If this happens after you have poured drain cleaner into the toilet, then your bathroom will be flooded with not only sewerage but also highly-corrosive chemicals which can damage floors and injure skin. A hard blockage is any clog or blockage which isn’t caused by human waste or toilet paper. The flushing of foreign objects, faulty plumbing connections, or an invasion by tree roots are a few common causes of hard blockages. If your toilet becomes blocked, and you have tried plunging it without success, you may have a hard blockage on your hands. 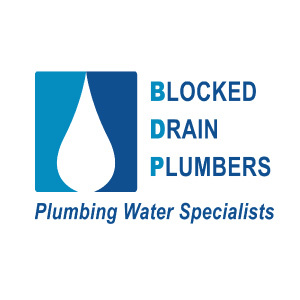 In such an event, a professional blocked drain plumber will be able to provide the best diagnosis and repair required to prevent damage to your septic system. Tree roots must be cleared either through excavation or through the use of power tools such as an electric auger. Faulty pipes or joints will need to be repaired or replaced, and foreign objects will need to be identified with a drain camera and then dealt with appropriately. A professional plumber will always take the time to walk you through the entire process, so pay close attention to what they have to say. It might prevent a similar problem from occurring in the future. If you need professional help on your blocked septic system, contact us on 0412 738 874 or leave a message.